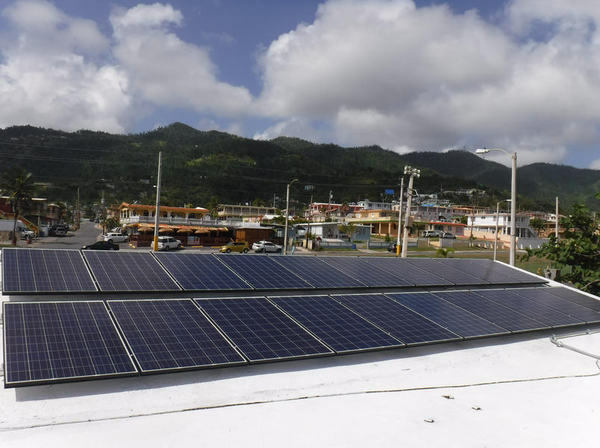 Resilient Power Puerto Rico, a non-profit energy relief effort, is scaling up its operations, installing solar-storage microgrids in towns and communities, readying the island as yet another hurricane season approaches. 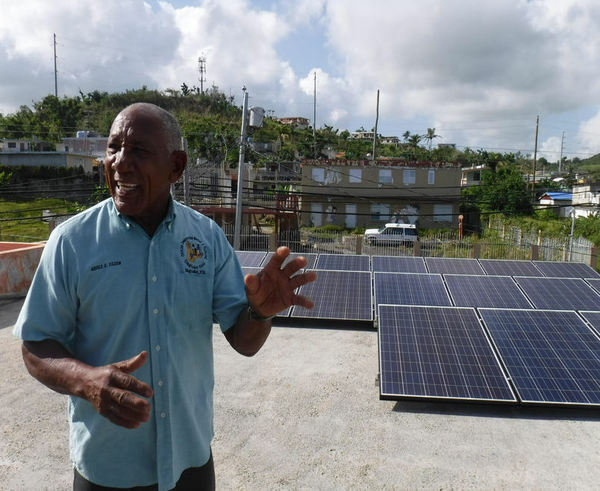 With a goal to raise $2.5 million and install 100 community-centered microgrids across Puerto Rico, the organization recently received $625,000 from Banco Popular’s charitable foundation, Acacia Network, the Ayuda Puerto Rico Fund and the PRxPR fund. The initial funding will be used to install 25 solar-storage microgrids with partners, including Tesla and island-based solar businesses. The microgrids will be donated to organizations that provide critical social services — food, water, power, medical care, etc. — in small towns and communities that lost grid power. Join us for a special discussion, “Puerto Rico: From Tragedy to Innovative Model for the World?” to be held at Microgrid 2018 on May 9 in Chicago. The 25 microgrids are not the first effort by Resilient Power Puerto Rico. Since its launch in October by a small group of New York professionals with island ties, the non-profit has deployed 15 distributed solar-storage systems, six of which are microgrids connected to the distribution grid of government-owned utility, the Puerto Rico Electric Power Authority (PREPA). As it expands its effort, Resilient Power Puerto Rico finds its mission — and government attitudes about clean energy — morphing. “I think there’s something of a paradigm shift taking shape in Puerto Rico when it comes to energy,” said San Juan-born co-founder Cristina Roig, a New York corporate lawyer, told Microgrid Knowledge. Because the organization’s projects have been small — 12-kW systems — Resilient Power Puerto Rico hasn’t needed to interact much with government and regulatory authorities. That’s changing as utility grid power is restored and the scope and scale of the non-profit’s project development plans expand. In light of the devastation caused by Hurricane Maria, emergency relief and disaster recovery efforts received temporary exemptions from some regulations. But that won’t continue forever. “We haven’t had much interaction with them [PREPA, etc. ], but as we scale up it’s inevitable that we will have to work more closely with regulators and authorities. Once you start powering up a municipality, they’re going to want those systems to be connected,” Roig said. Fortunately, thinking is shifting among key government agencies, such as PREPA and the Army Corps. Roig said that they are opening up to the idea of using solar, renewables, energy storage and microgrids. “It’s more of a political issue, and not one we necessarily want to get into, but I think the fact that we see PREPA considering them [microgrids] is significant. We want to work with whatever energy authority is in place insofar as they’re aligned with our basic mission of getting people and communities powered up,” Roig said. Hurricane season starts in June and extends through November in the Caribbean. Organizations with microgrids will be ready to provide social services if another disaster strikes. “Basically, we’re installing these microgrids to create resiliency in advance of the next one,” Roig said. Resilient Power Puerto Rico reserves the right to access microgrid sites to ensure they are being operated in accordance with the non-profit’s requirement that they’re used to provide local social services, as well as comply with electrical codes and other regulations. 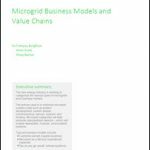 The organization also monitors microgrid usage and acquires related data. Some of the data is shared with Resilient Power Puerto Rico’s donors. Resilient Power Puerto Rico was modeled after a similar organization in New York, Power Rockaways Resilience, formed in the wake of Superstorm Sandy. The organization works with a variety of partners to site, design and install solar-storage systems and microgrids. AZ Engineering has designed its systems, while installation has been handled by New Energy, Pro Service and Green Energy Systems, according to project volunteer Jan Curet, a native Puerto Rican employed by Marvel Architects, whose founding principal, Jonathan Marvel, co-founded Resilient Power. Two more local solar installation companies, NEO ERA and ecologicAll are set to join the list. The project partners also train local residents of recipient community-centered organizations to operate and maintain the energy installations. It’s then up to the local organizations to operate them in accordance with regulatory requirements. Along with primarily donated solar panels, the distributed energy and microgrids installed to date use Tesla Powerwalls for battery energy storage. Excellent article. Hopefully government red tape won’t interfere with this commendable on a nonprofit effort to secure the basic services needed in our communities. Excellent post. I want to thank you for this informative read; I really appreciate sharing this great post. I really thankful for your post. Keep up your work.